This year's edition of the annual Medvehagyma Festival takes place on April 7-8, and, as always it is organized in Orfű, with wild garlic tastings, chef competitions, exhibitions and lots of fun. The Medvehagyma Festival is a unique gastro-weekend celebrating medvehagyma (wild garlic) and its heritage in Hungarian cuisine and culture. Organized annualy in Orfű, a little town near Pécs, this year's 14th edition presents cultural and family programs in a fun atmosphere. Visitors can learn about the various forms of and special preparation of this rare type of garlic, such as medvehagyma honey, in lectures and tastings. A special train service will also be available to the nearby woods, so those interested can collect as many medvehagyma as they wish. Also, do not miss a visit to the Medvehagyma House. 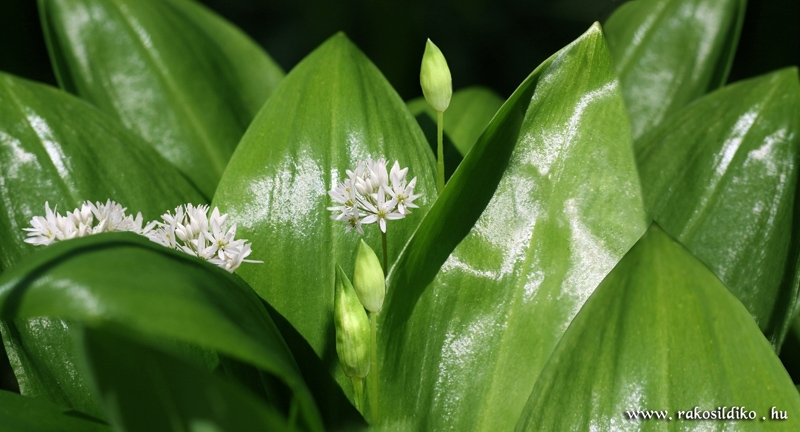 Wild garlic, also known as ramsons, buckrams, broad-leaved garlic, wood garlic, bear leek, and bear's garlic, is a wild relative of chives that are native to Europe and Asia. The Latin name is due to the brown bear's taste for the bulbs and its habit of digging up the ground to get at them; they are also a favorite of wild boars. Medvehagyma literally translates into “bear onions" in English.